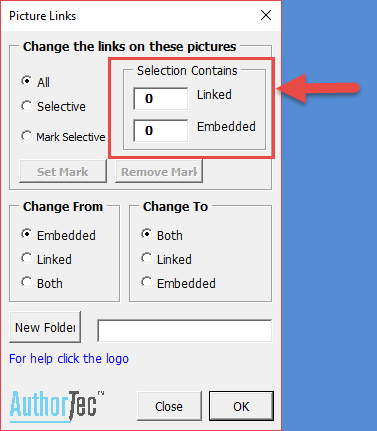 AuthorTec Change Picture Links allows you to rapidly fix broken picture links or change the type of link on the pictures. Having linked images in a file does save file size but when you change the image's directory location or email the file to someone else, those links are broken, and an "X" replaces the image in your document. 1. Open the Word document with picture links that need to be updated. 2. Click the Developer tab along the top of your screen in Word. 3. Click the Change Picture Links button to open the Picture Links dialog box. You will see how many Linked images and how many Embedded images are in the document. The Linked images count shown includes those set as "Linked" and "Linked and Embedded", which is also called "Both". 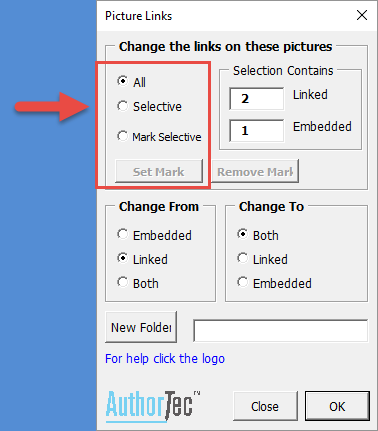 If you only want to change certain picture links, select those image(s) in your document before clicking the Selective option. You can select a range of images to change by just selecting the whole paragraphs where they are inserted. Click the New Folder button and use the Folder Explorer function to identify the new source location of the pictures. The new full pathname to the folder containing the pictures is placed in the text box. All filenames of the pictures must match exactly the names as they were when originally inserted into the document. 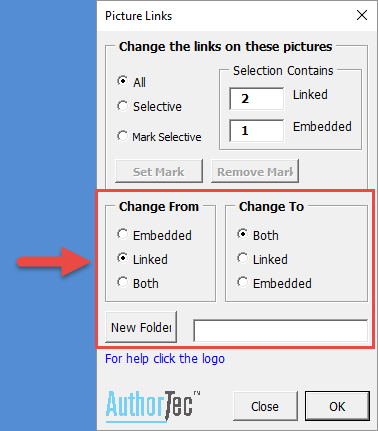 In the "Change From" group mark "Linked" and in the "Change To" group, mark the "Embedded" button. 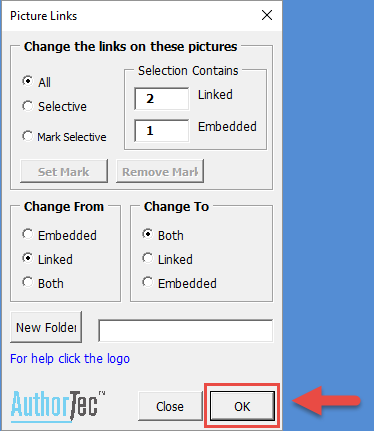 AuthorTec Link will use the linked image’s current source location and filename to reinsert them into the document as an embedded image type. 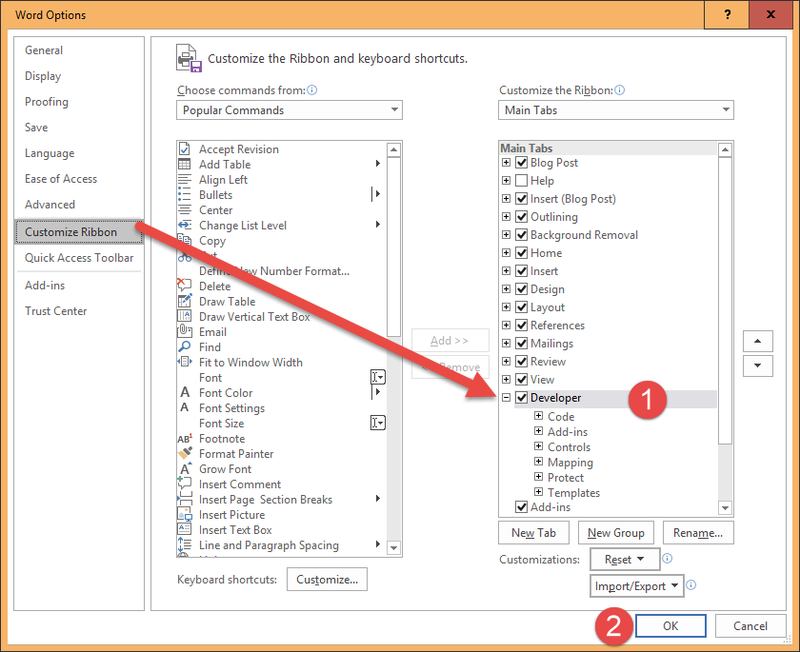 Click OK in the lower right corner of the dialog box to apply your changes.